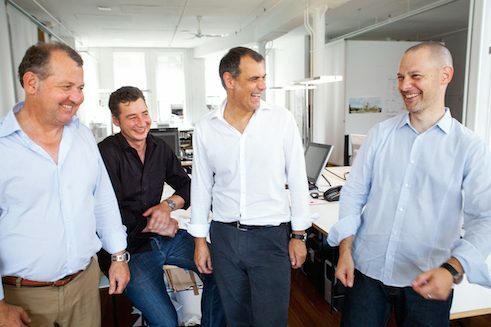 Internationally prominent star architects come from the USA, or Japan, from European countries such as England, France, The Netherlands, Spain or Austria. 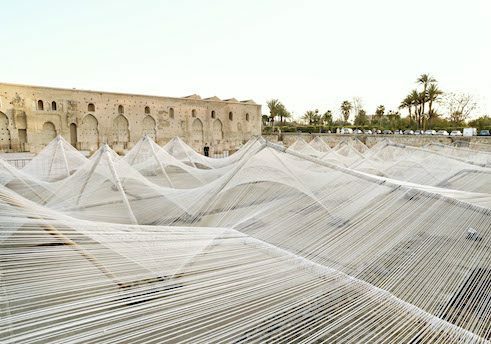 Construction artists from Germany seldom appear on the international stage. They are successful, very much so in the Gulf region as well, and in the Far East. 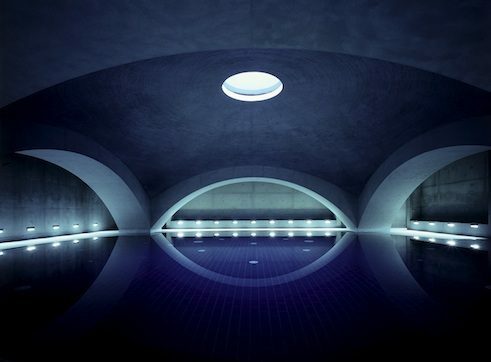 But they are not part of the glamorous star system, the global architectural jet-set. There may be two main reasons for this. 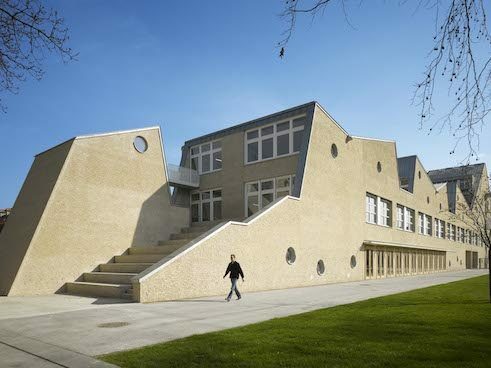 Architectural training in Germany has a high qualitative level. There are therefore few incentives to go abroad during one’s training. 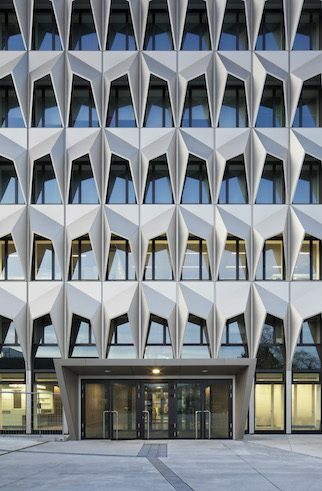 For this reason, many German architects lack the routine and sense of naturalness of making their appearance in the English-language cultural sphere. 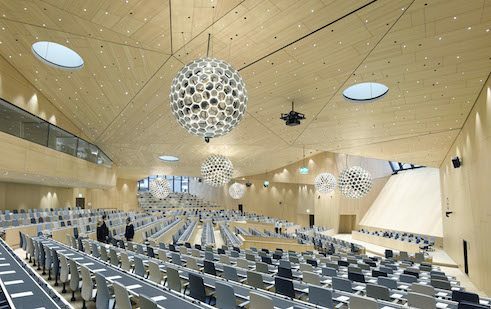 In addition, architectural training in Germany concentrates on solidity, optimal functionality, structural perfection and sustainability. 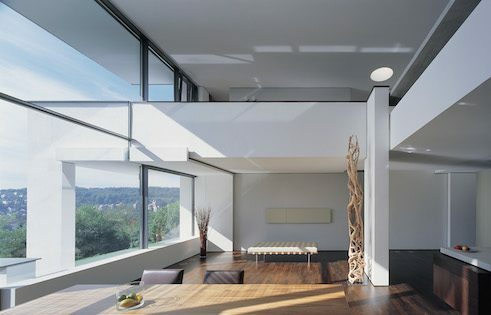 A pronounced artistic design approach is therefore an exception. Unmotivated, dramatic forms are frowned upon. 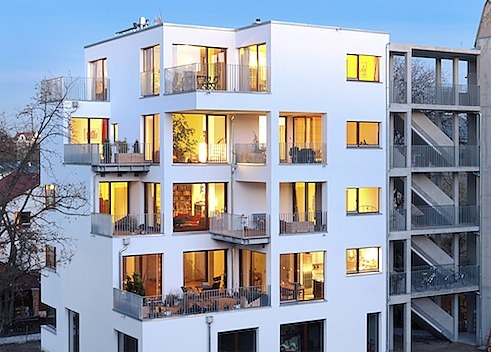 Spectacular, signature buildings such as the works of Zaha Hadid, Daniel Libeskind or Rem Koolhaas are not to be had from German architects. 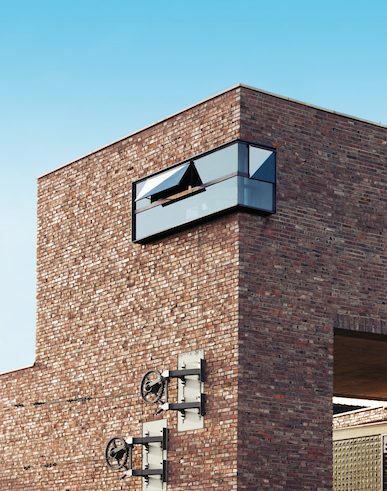 German architecture has other, quieter qualities. 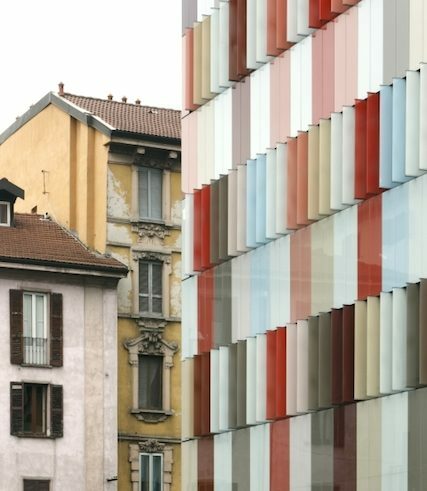 Contextual ones, for instance, when new constructions are to be integrated into existing structures or into historical situations, structures that do not seek to impress, but instead supplement the urban-planning situation, repair or enhance it. 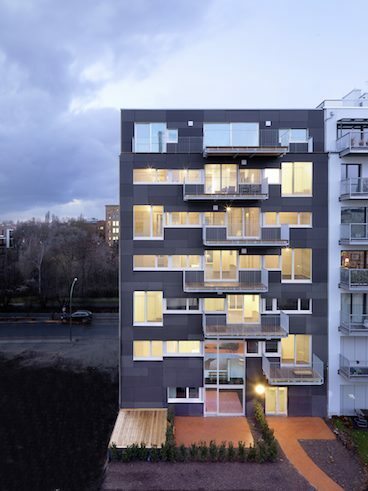 Or, if the issue is work-place quality in terms of light and air, greening and communication, or the equipment standards of completely normal apartments, buildings’ life-span. 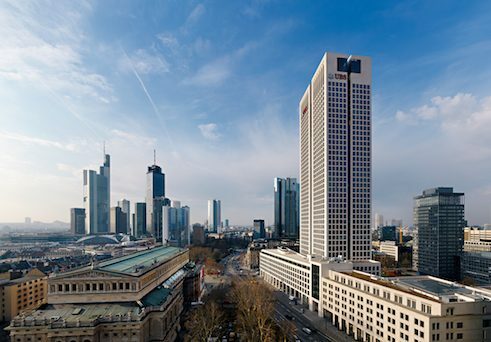 Today, the latter can be observed in the case of China: ten-year old buildings of German origin are standing there that look like new both inside and out, while neighbouring towers of the same age are already showing signs of a need for renovation or are even being replaced. 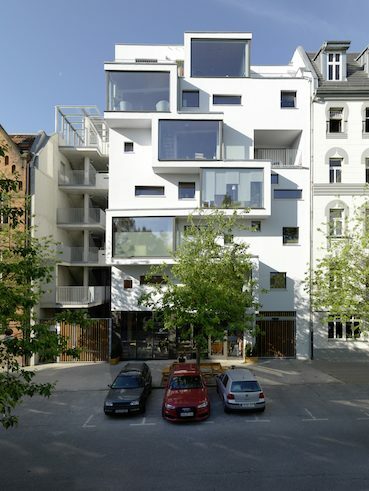 The reason is that architects in Germany do not identify as service providers who regard their job as finished with the delivery of a design, but are accustomed to supervise their designs during the realisation phase and to try to keep quality-control in their own hands until completion. 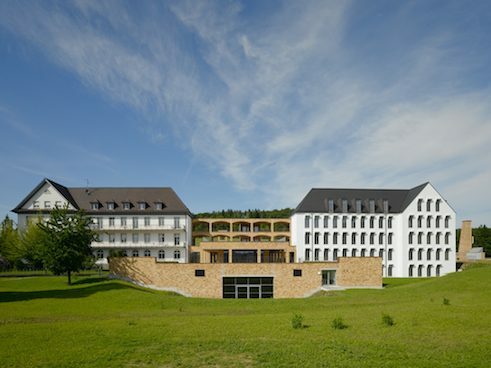 The best architects in Germany unite the three architectural categories, known since they were defined by the Roman architectural theorist Vitruvius, of utilitas, firmitas and venustas (utility, durability, beauty). 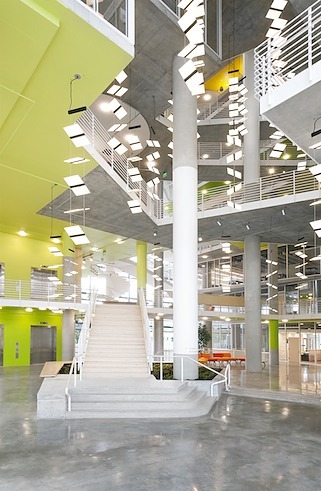 They combine high serviceability with good design and consummate construction technique, surprising, poetic, aesthetic building art with cost-effective, environmentally and energy-conscious modes of construction. In this way, elegant office buildings with a zero-energy balance arise, modern townhouses in innovative wood construction technology, supremely elegant villas with long-term warranties, attractive schools with sustainable, solid brick construction. 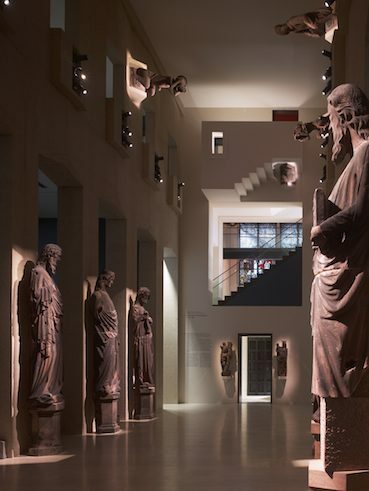 And museums that do not just look unique, but also please curators because the architecture does not take centre-stage, but instead leaves open all possibilities for exhibition design to them. 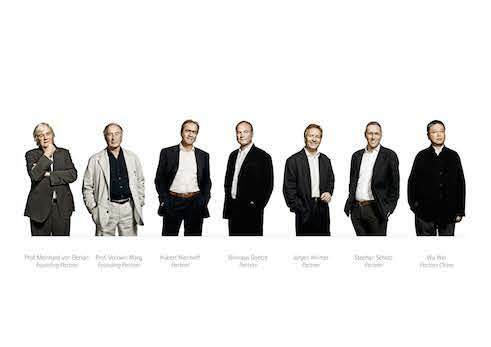 Among the Top Ten of German architects are large-scale firms and lone wolves, garage inventors and artists. What makes them all stand out is their sense of responsibility for building to benefit society. They waste no resources for the purpose of creating spectacular, but unserviceable works of art for the sake of their own greater glory. 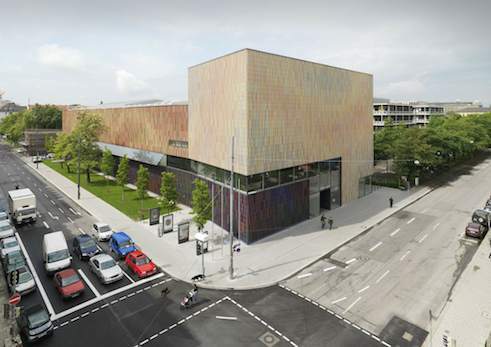 By the same token, they do not compliantly or mindlessly produce run-of-the-mill commercial architecture. They have a wide range of approaches and fields of activity, but what unites them is their unalterable will to do equal justice without compromise to all three Vitruvian categories. 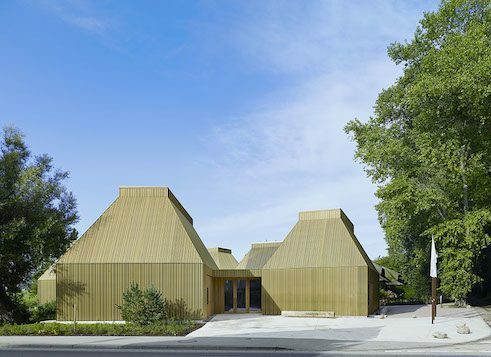 The first buildings by Frank Barkow und Regine Leibinger are in Berlin and were the results of successful contest participations, a kindergarten site and a youth centre notable for its strong colours. 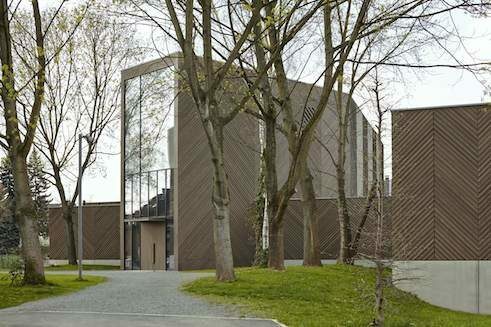 Both buildings already feature the structural rigour that defines their entire work, with well-ordered ground-plans and careful attention to detail. 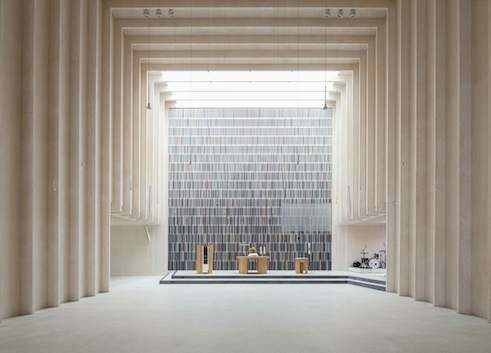 But they also already reveal the skill with which, by means of interplay of materials, rhythmic shifts in the façade structure and colour variations, these design values are almost playfully obtained that lend such strictly modern buildings an individual countenance. Without “betraying” the articles of faith of modernity, i.e. without superimposed ornamentation and decor, the architecture nonetheless takes on unmistakeable and recognisable character. 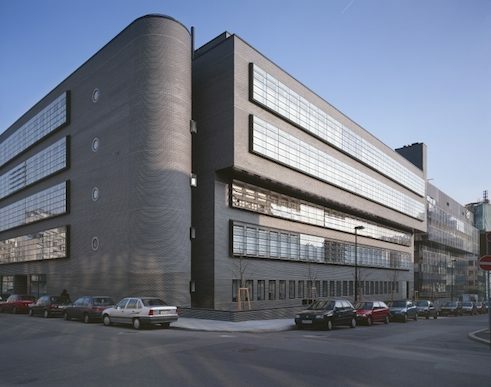 Barkow Leibinger have become known for their elegant industrial buildings that in terms of typology and in their functional specificity transcend by far the usual system-hall construction, for instance through the spatial linkage of research, development and production in the area of machine manufacturing. 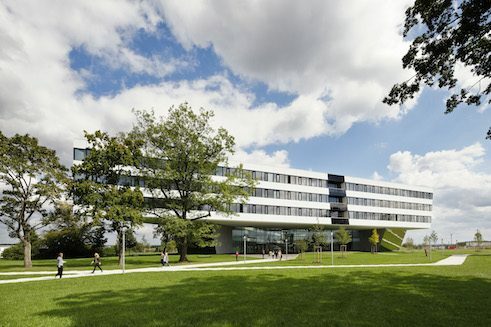 They continually study new modes of construction and materials, practice-oriented and in interdisciplinary exchange with specialists in material and with engineers with an interest in innovation. For instance, they make use of the potentials of laser technology for cutting and soldering stainless steel sheeting to create light but extremely stable honey-comb structures. 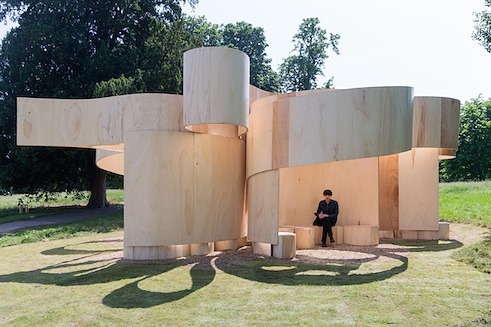 Or they experimentally plumb the performance capabilities of bent laminated wood surfaces, as in the case of the Serpentine Summerhouse 2016 in London. 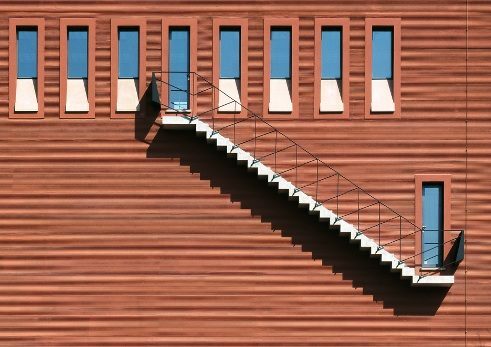 Only a few architects follow the path of research-based construction as consistently as they do. 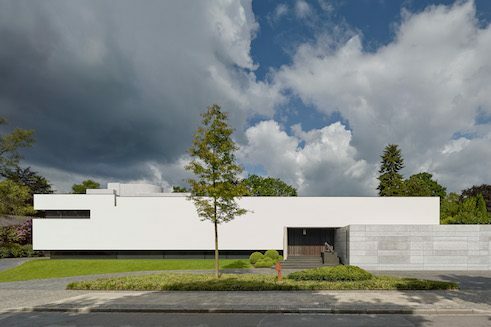 The crucial position of “democratic architecture” that Günter Behnisch occupied as among other things the antithesis of the rationalists Ungers and Kleihues is also that of his son Stefan. 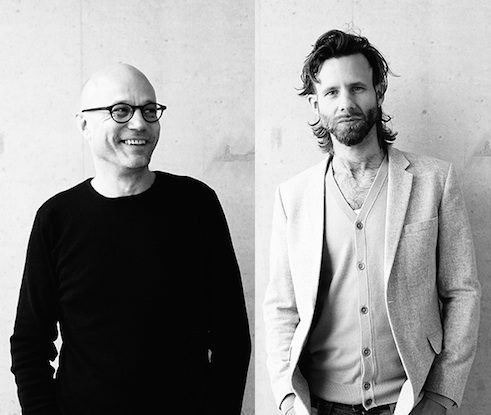 In the everyday wrangling over costs and deadlines, regulations and clients’ wishes, fulfilling functional requirements and artistic self-fulfilment, not to lose sight of the person, the user, is also the concern of Stefan Behnisch and his partners. 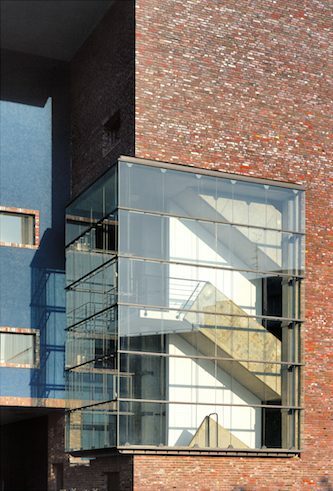 The goal of Behnisch buildings is to be places where people can realise themselves and feel comfortable. 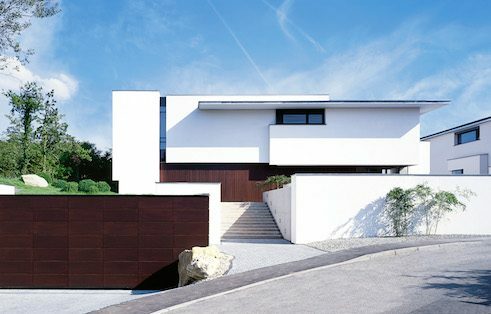 Behnisch Architekten have recognised the signs of the times and have made ecology their maxim in each and every one of their projects. 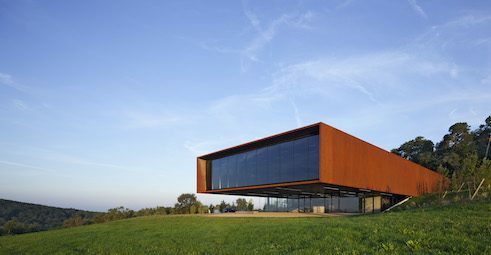 It is worthy of note that they are the only German architects whose architecture enjoys resounding success in North America. 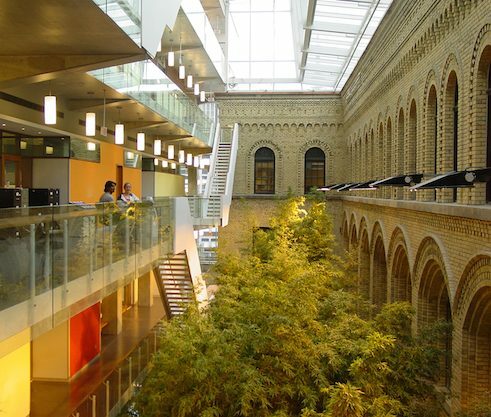 There, primarily university buildings have arisen, transparent, shimmering laboratory and department buildings that clearly contrast with their traditionalistically stolid neighbours. 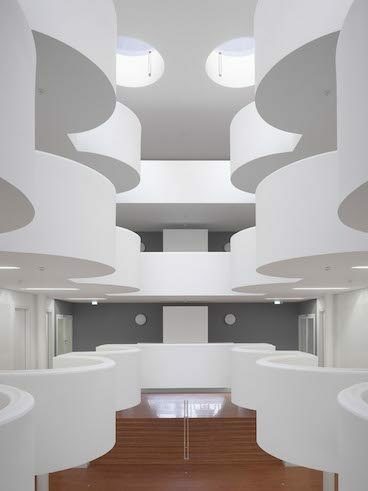 They are environments of ease and cheerful atmosphere that create communicative locations and thereby animate people and bring them closer together. 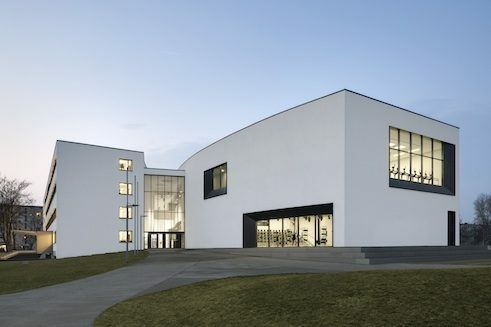 With numerous projects in Europe, Behnisch Architekten also demonstrate that one can also build housing, swimming pools, schools, even museums and office buildings along these lines. 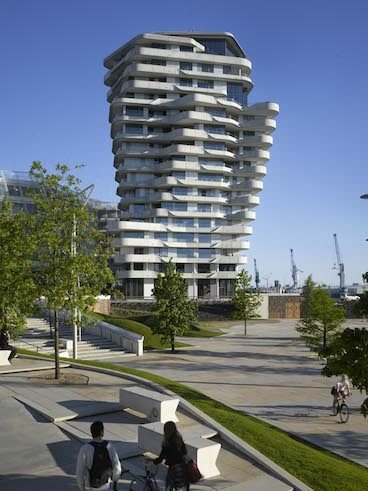 In Hamburg’s HafenCity as well, Behnisch’s buildings clearly contrast with generic design standards. 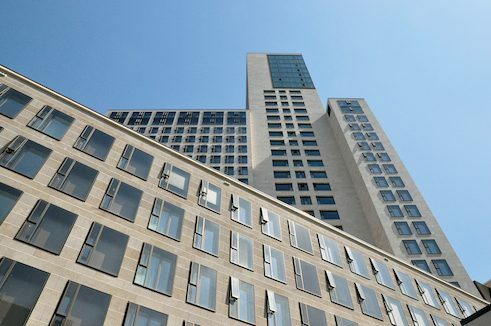 The Unilever building and the exclusive Marco Polo residential tower constitute a significant ensemble in the midst of other, by no means faceless new buildings, and stand for the open, informal iteration of modernity. “Art is beautiful, but it’s a lot of work,” said Bavarian comedian Karl Valentin. 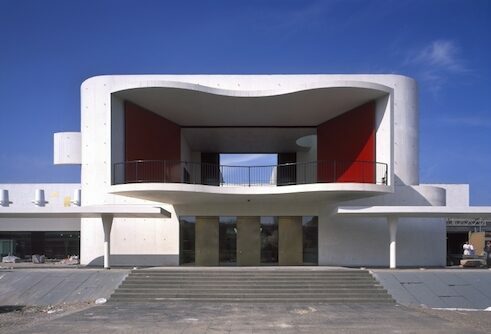 Architecture is also art, and is in particular a lot of work, in any event if once conceives it as Alexander Brenner does. His aspiration for perfection begins with his unusually intensive approach to his clients and informing himself about their needs. It determines the individual design, realisation from the sophisticated work plan to the painstaking construction process, equipment, furnishings and garden design, as well as aftercare with respect to the object long after it has been occupied. 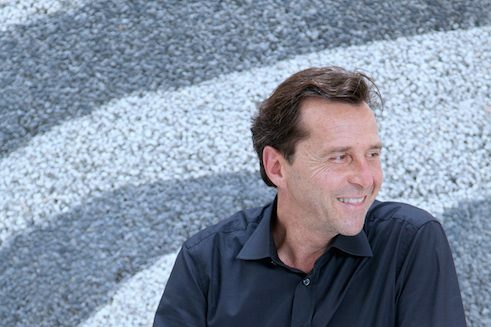 To be able to work at the desired level, Brenner has specialised in upmarket villas with his firm, which was launched in 1990. 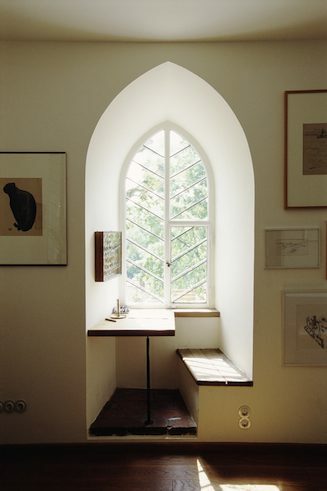 His houses not only bear witness to highest functionality and quality in material and detail, they are also works of art that are to be experienced with all one’s senses, compositions of space and physicality as if from the textbook of the Russian Functionalists. 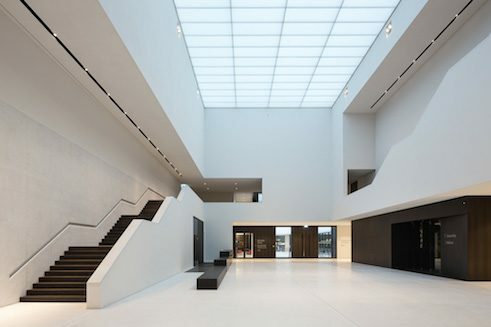 Formally closely affiliated with classical modernity and de Stijl, Brenner approaches their repertoire masterful, without allowing himself to be co-opted by their dogmas. 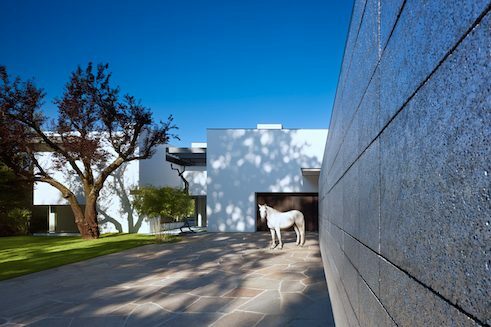 As well as light, transparency and openness towards the exterior space, there is also shadow, a sense of security and a comfortable atmosphere. 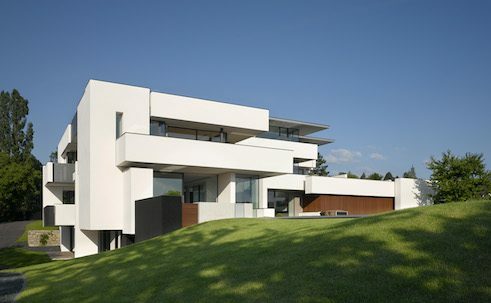 Brenner Architekten also provide for the often astonishingly practical detailed solutions for a wide range of residential needs that make his homes suitable for everyday living. 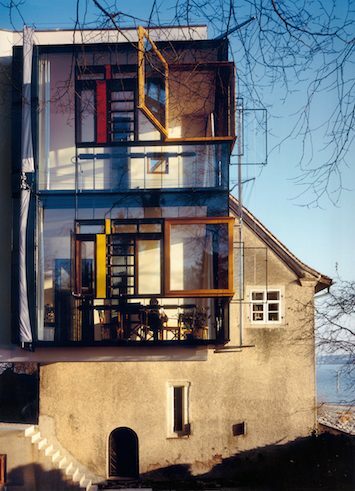 His houses are both: artistic artefacts and individually adapted, comfortable and protective living space. 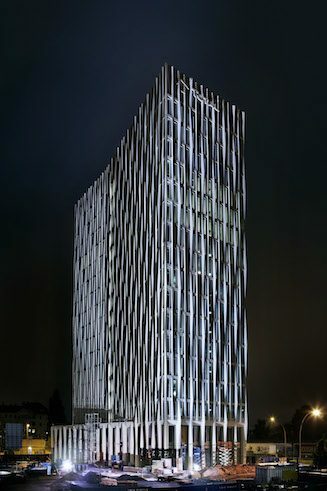 The architectural firm gmp, founded in 1965 by Meinhard von Gerkan and Volkwin Marg in Hamburg, with branches in Berlin and Aachen, has established itself nationally and internationally as Germany’s leading architectural firm with nine foreign branches from Brazil to Vietnam and China. 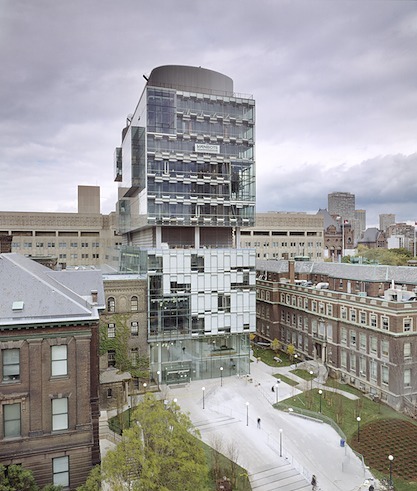 The great majority of gmp buildings arise following competition wins. 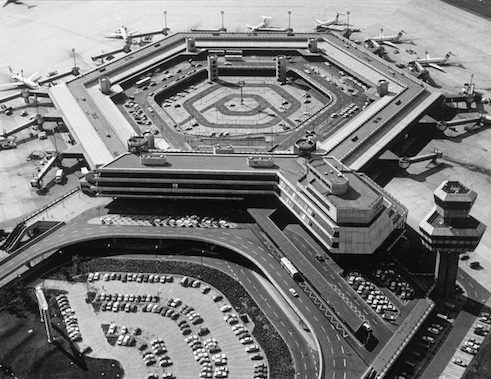 Their debut work was Berlin’s Tegel Airport, a building that is still appreciated by passengers for its functional and design qualities. 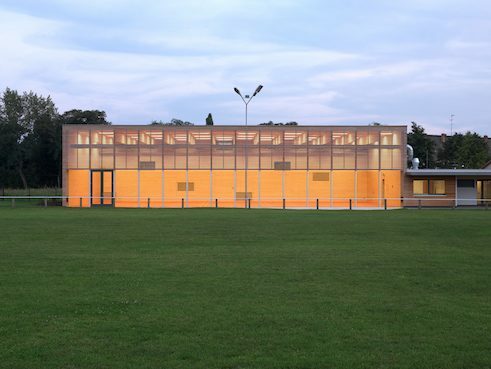 From that point on, the firm quickly developed into a seasoned competitive team, which with elegant designs and pragmatically perfected ground-plans, often clinches the competition in its favour, despite the firm’s fundamentally down-to-earth modern approach. Tegel was the beginning of an impressive series of important large-scale projects, from trailway stations (including in Berlin and Tianjin), trade fairs (for instance Leipzig, Hannover, Nanning, Shenzhen), stadiums (for instance the Berlin Olympic Stadium, Cape Town, Brasília, Delhi, Shenzhen, Shanghai), opera, theatre and concert buildings (in cities such as Lübeck, Weimar, Berlin, Chongqing, Qingdao), as well as a wide range of other social, transportation, office and residential buildings. 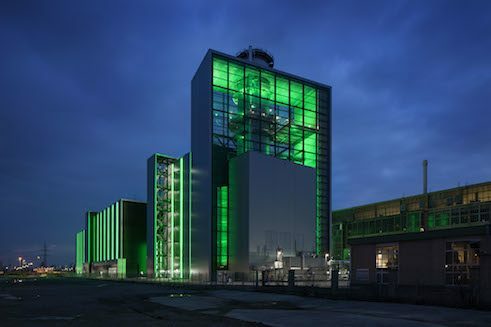 Notable is the consistently high quality standard, which is maintained both in Germany and abroad despite the firm’s skillful MO and in part extremely commercial focus of their clients and under highly complex conditions. 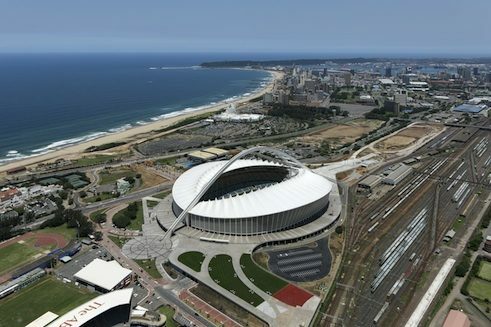 The football World Cup and European Championship stadiums by gmp are among the most beautiful football arenas of the years since the turn of the millennium. 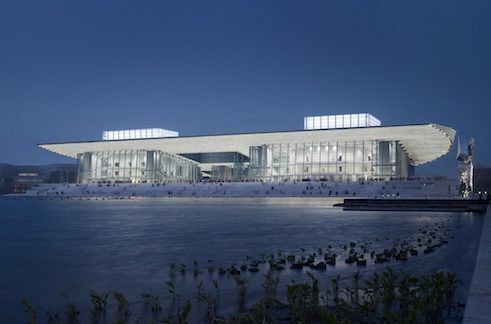 Their office buildings, sport facilities and cultural buildings have set standards in the Far East in terms of technical quality, functionality and sustainability. 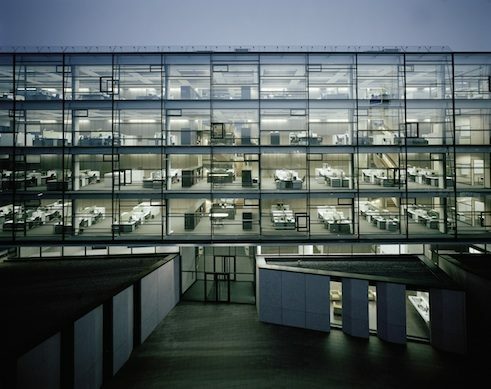 Nonetheless, the foundation of gmp’s company philosophy is its rootedness in German building culture. 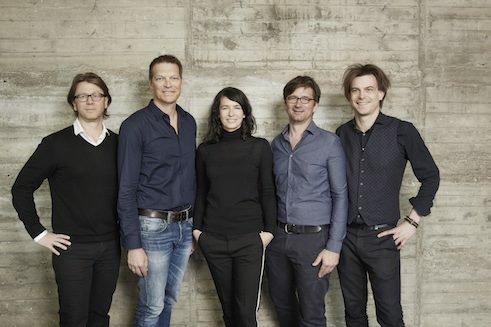 Founded in 1999 in Aachen by Graz architects Klaus Kada und Gerhard Wittfeld, the firm is currently being directed by Gerhard Wittfeld, Kilian Kada, Stefan Haass, Dirk Lange and Jasna Moritz. 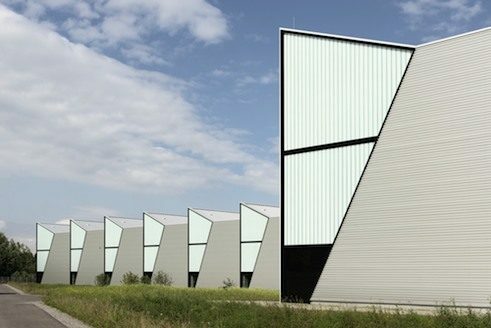 Even though the architectural language of kadawittfeldarchitektur does not depart from the prescribed boundaries of contemporary modernity and expressive, round or dynamic forms remain exceptions, the firm’s designs are characterised by individuality and vividness. 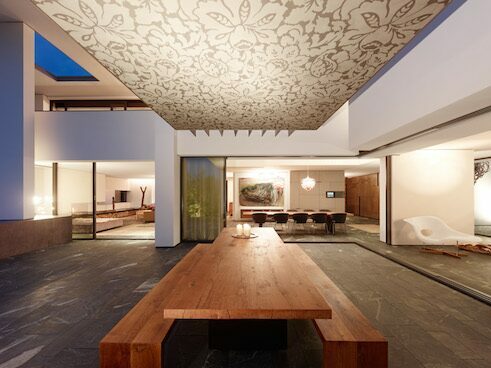 Preconceived solutions and an individual firm style do not exist: each project appears newly conceived and designed. 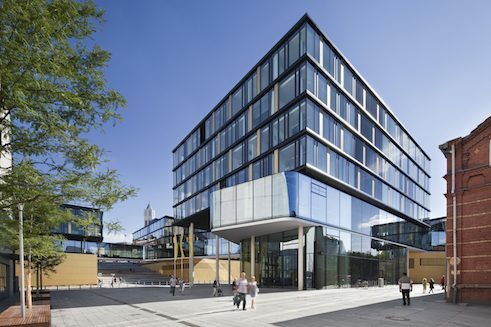 In this way, the firm succeeds in carefully integrating an insurance company’s in fact too-voluminous office complex into the structure of Aachen’s city centre and at the same time upgrading its public space and pedestrian pathways. 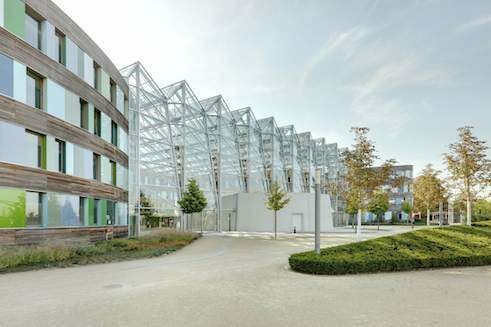 In this way, a quite spectacular office building is arising in Herzogenaurach that can easily hold its own with a series of other architectural icons on the Adidas campus. 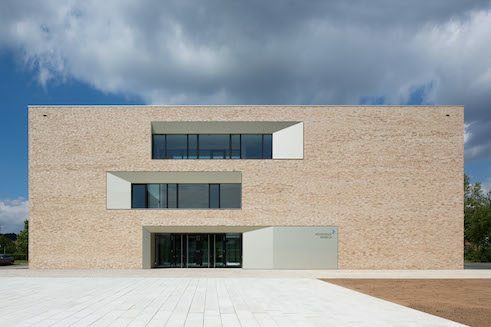 The World of the Celts Museum in Glauburg is lent an archaic look and feeling. The Grimmwelt (i.e. world of the Brothers Grimm) is a fairy-tale castle and focal point of Kassel’s cultural quarter. 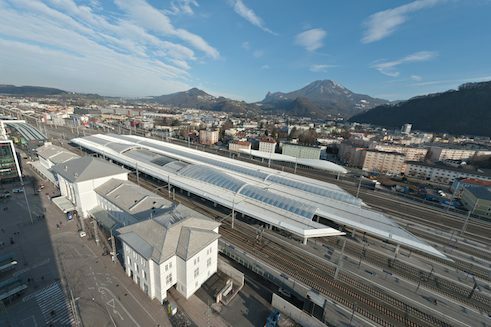 Then again, the Salzburg central railway station is a futuristic-looking new interpretation of the theme of arrival and departure. 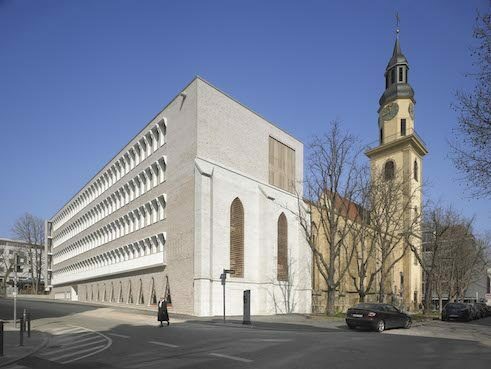 And it is seldom that the task of formally and proportionally augmenting an existing building is solved so sensitively and at the same time in a new and contemporary manner as in the case of Cologne’s neo-classical railway headquarters. 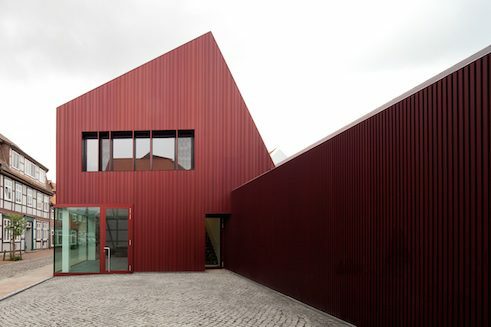 Projects by kadawittfeldarchitektur are almost always eye-catchers, without sensationalism or ephemeral showmanship. Boredom and monotony are non-existent. 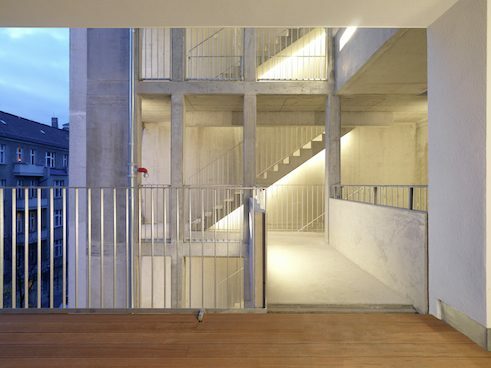 No question, the city-centre residential buildings with which Tom Kaden has made himself known are prototypical of an architecture that seeks to mesh residency and the city, individuality and public space. 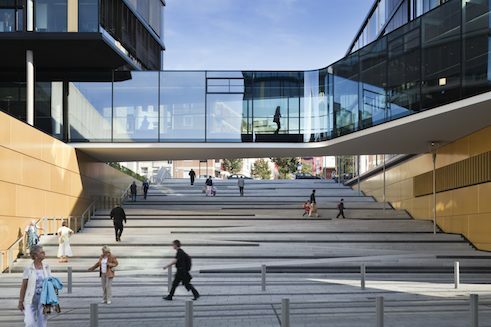 It offers possibilities for communication, orientation on all sides, building entrances and stairwells with meeting-place qualities, and flowing transitions from indoors to outdoors. 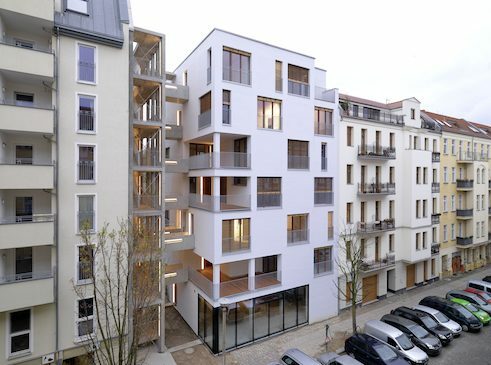 And no question, the buildings by Kaden Klingbeil architects, since 2015 by Kaden + Lager oriented on classical, white modernity, are elegantly and attractively designed and tell scarcely fewer stories than their stuccoed neighbours from the Gründerzeit (late 19th century). But they have a third advantage that one does not notice, almost a unique feature: they are made of timber. 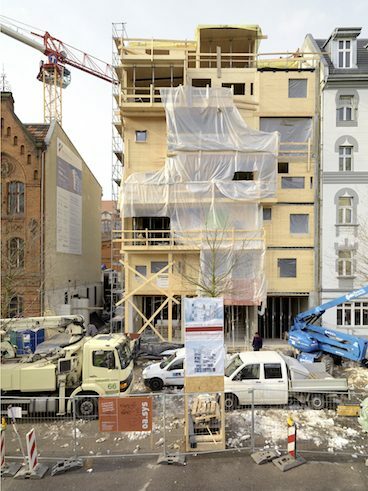 Seven-storey city-centre residential buildings constructed with timber did not exist previously. 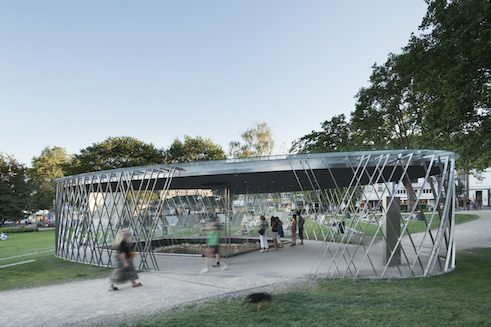 Kaden is a successful pioneer in this field and one of the early protagonists of this increasingly popular and sustainable mode of construction. 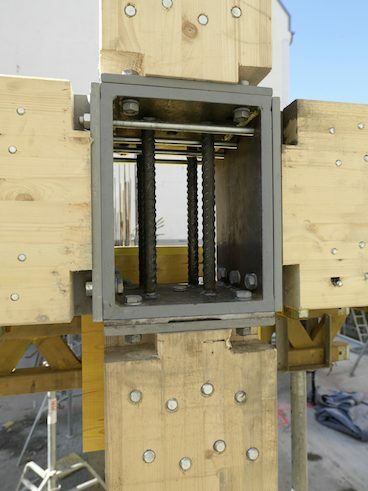 Together with the engineers he is also advancing the optimisation of this mode of construction, the development of engineered wood, composite structures and innovative combinations of wood elements. 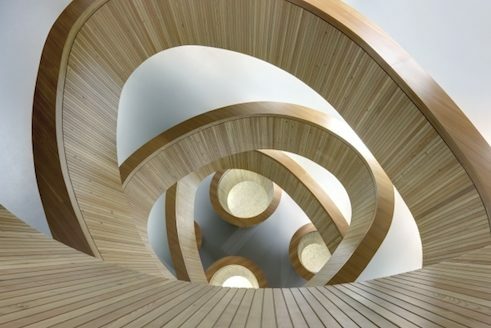 On top of all this are the necessary innovations in fire safety and sound-absorption technology that are always issues in timber construction. For this purpose, new standards must be introduced into the slow-moving field of construction-permit law. 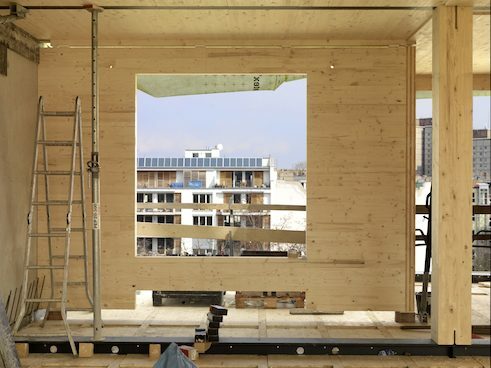 Kaden + Lager do not draw on expectations of timber as a construction material as a guarantee for cosy living and ill-conceived notions of being in touch with nature. Their interest lies in the pragmatic plus-points of this construction material, in precise pre-fabrication and short construction times, healthy building climate control and sustainable, ecologically responsible modes of construction. 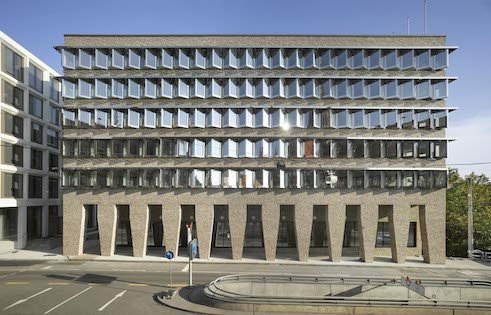 Their buildings also follow high aesthetic and economic standards, and are of high value from the standpoint of city-centre residential construction as well. 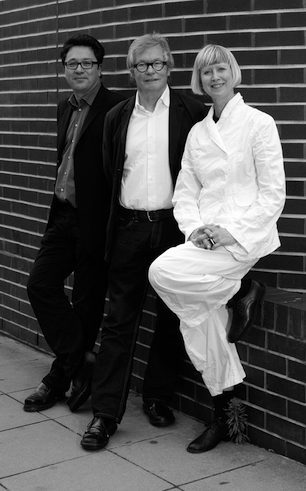 Arno Lederer launched his firm in 1979 in Stuttgart, then came Icelander Jórunn Ragnarsdóttir in 1985, and 1992 Marc Oei. In their initial works they felt a commitment to classical, white modernity. Later on, they drifted off a bit into Post-Modernism and were then soon underway on more solid terrain. The walls of their buildings stand firmly on the earth and they seem to draw their power from it. 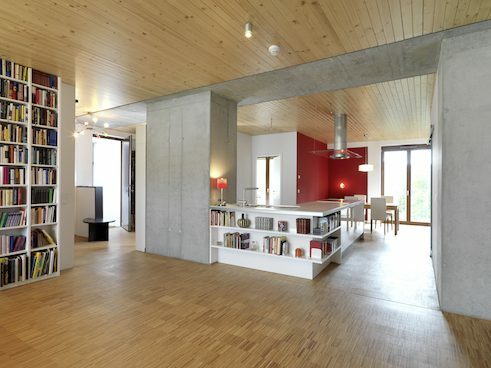 The homes by LRO fulfil people’s basic needs for spatial experience, orientation, security and a sense of being at home. 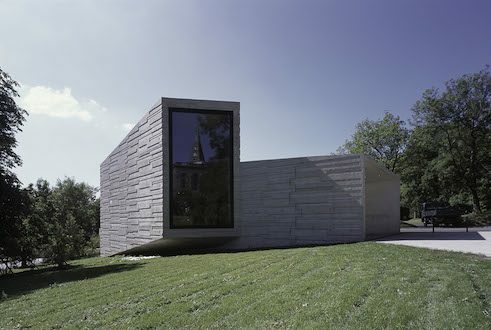 They work masterfully with the architect’s materials, with light and construction products. Time and again, they invent surprising spaces, whether in the cellar or the attic. 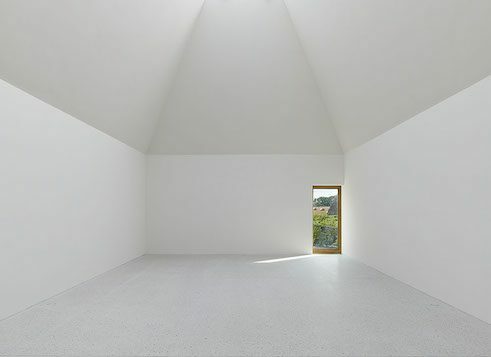 Spaces modelled and shaped by light, preferably with vaulted ceilings, cosy or sublime, enigmatic or clear. 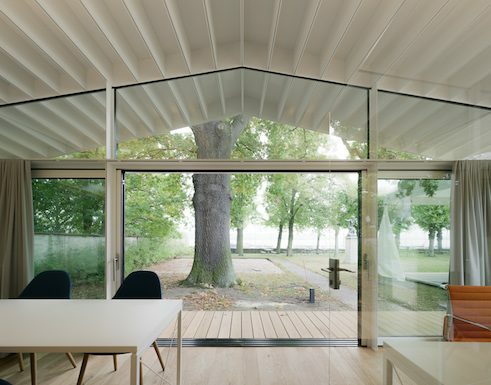 A modernity that derives from Louis Kahn, who favoured strong, geometric volumina and heavy materials, but with which an Alvar Aalto seems to be familiar with his buoyant 1960’s forms. 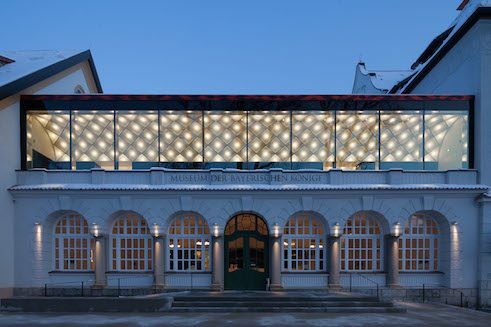 And of course Adolf Loos, the herald of early modernity who condemned any sort of decor and yet slyly replaced it with carefully calculated material effects through burl veneer or fiery natural stone. LRO seek to overcome the rationalistic abstraction that has iced up the art of building and alienated itself from normal human beings. 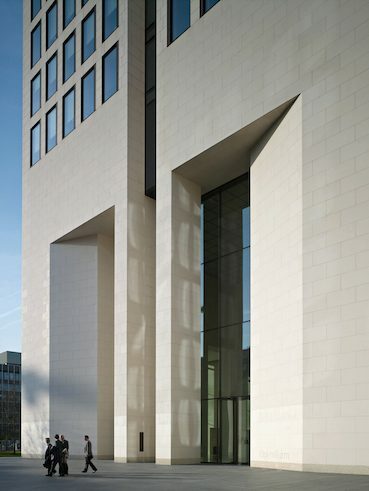 With their sculpturally powerful, sensuously palpable buildings, often designed with bricks or ceramic tiling, they lend architecture an archaic, tangible, earthy physicality and thereby succeed in thrilling laypersons and earning esteem from professional colleagues. 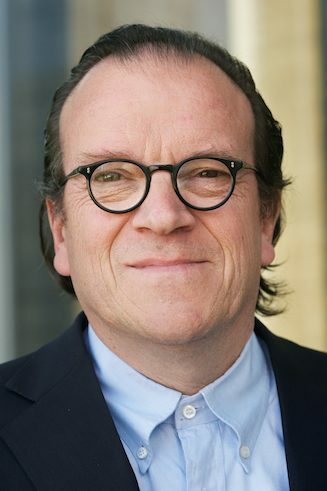 Trained in Darmstadt and Aachen, Mäckler launched his own firm in 1981 in Frankfurt. 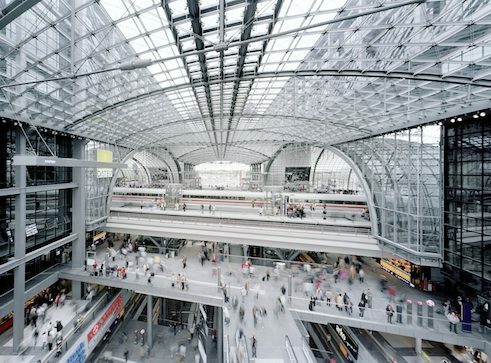 In 1987 he gained fame for his engagement for the “Frankfurt Projekt” in which he subjected his native city to critical analysis and made construction proposals. 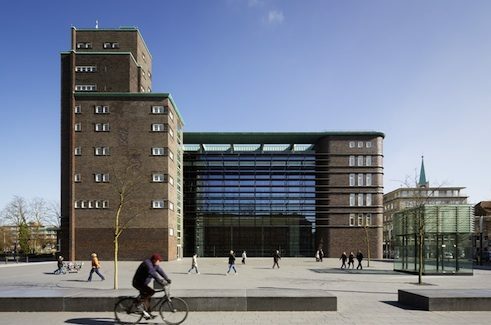 Initially his sculpturally modern buildings reflected the influences of Gottfried Böhm and Oswald Mathias Ungers. 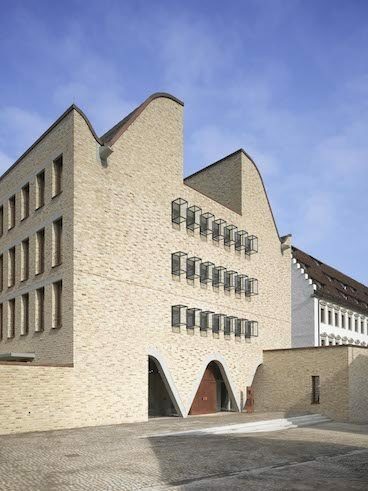 Apart from this, forms of brickwork expressionism, Erich Mendelssohn’s elegant modernism and abstracted historical motifs including bold axial symmetries played a role. 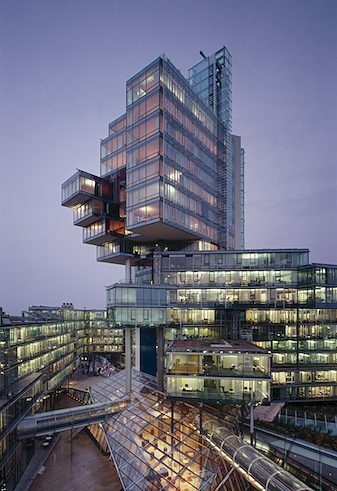 When he designs large-scale complexes such as the Torhaus at the Frankfurt Westhafen, the opera tower or the Lindencorso, or the Waldorf-Astoria Hotel at the Zoo for Berlin, his goal is to create emblematic buildings aligned with their context that enhance the location and strengthen its identity. 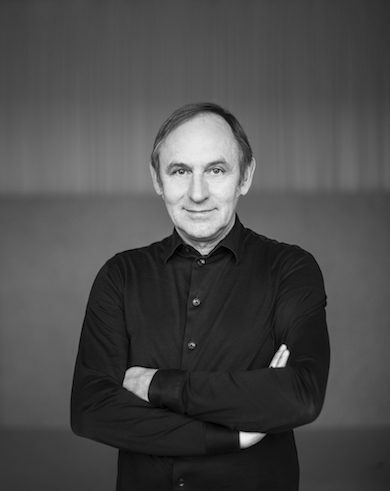 He does not shrink from reintroducing the concept of “beauty” into the discussion on designing the city, and is also engaged in reanimating Central European traditions of urban construction in teaching curricula as well. 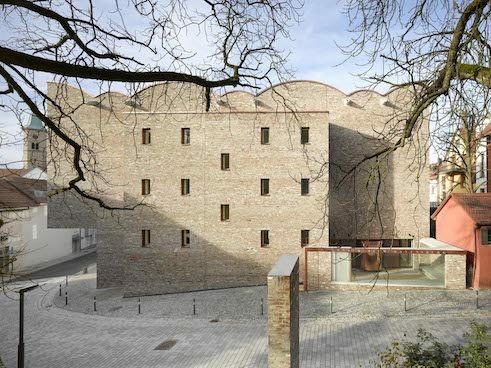 Christoph Mäckler Architekten | Augustinermuseum Freiburg i.Br. 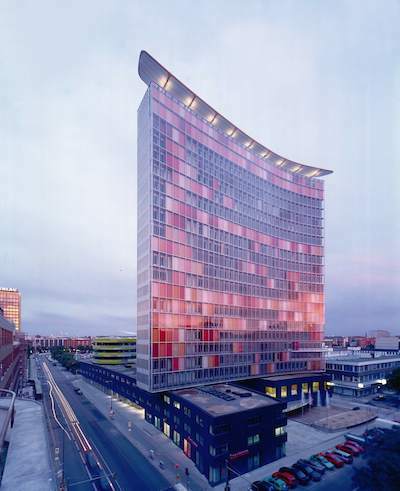 Christoph Mäckler Architekten | Opernturm Frankfurt a. M.
Christoph Mäckler Architekten | Kunsthalle Portikus | Frankfurt a. M.
Christoph Mäckler Architekten | Apartmenthouse Stiegeler | Frankfurt a.M.
Mäckler described his aspiration to reconcile a modernism that had become decrepit in terms of structural engineering with traditional craftsmanship qualities in building production for the sake of solidity and durability “rematerialisation of modernity.” Today his buildings, with the careful masonry of their brick and natural stone facades, stand in the urban context on an equal footing with buildings from pre-modern times. 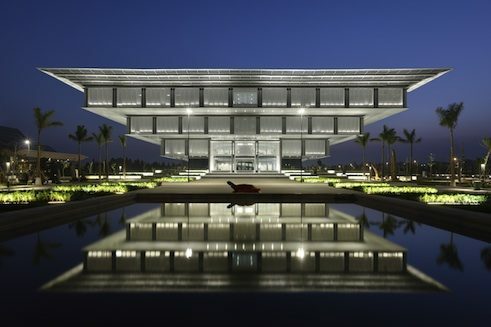 They are living, contemporary architecture, and yet radiate familiarity, exhale historical awareness. Mäckler demonstrates that this need not be a contradiction. 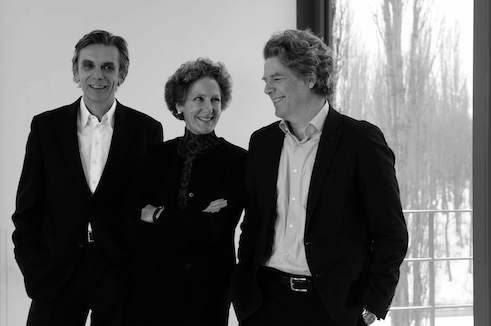 Matthias Sauerbruch from Konstanz and Louisa Hutton from Norwich, England, evolved their approach to architecture in London at the Architects Association AA, and in 1989 founded their firm in Berlin and a branch in London. In 1999 Juan Lucas Young joined them as a partner. 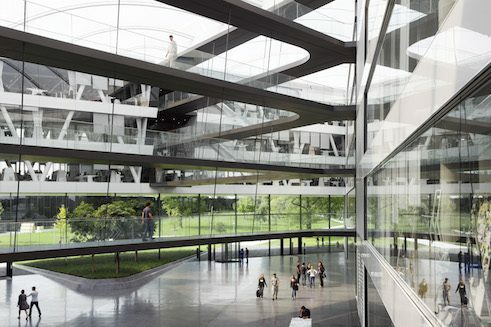 The firm realises cultural and research buildings, hotels and administrative buildings both in Germany and abroad, for the most part following contest wins. 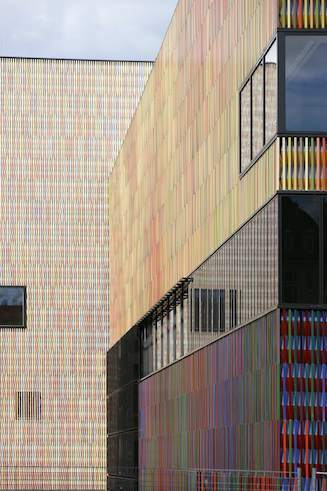 Like scarcely any other current team of architects, Sauerbruch Hutton has developed a recognisably individual style for their sensuous, attractive architecture. 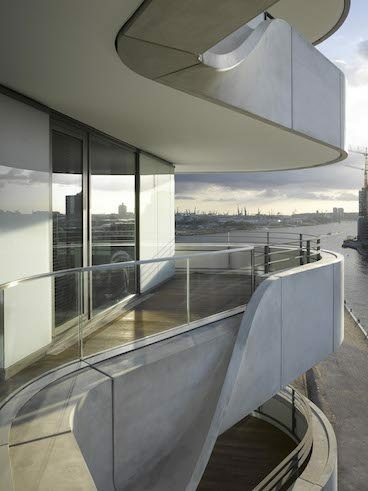 Flowing, dynamic forms characterise both building structures and furnishings. They approach colour aggressively. 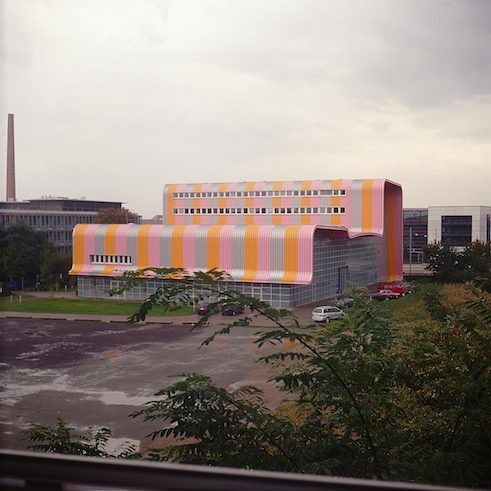 Their facades often have colour combinations that recall textile decor, or colour-intensively designed interiors, as in the “Experimental Factory”/ ”Experimentelle Fabrik” in Magdeburg. 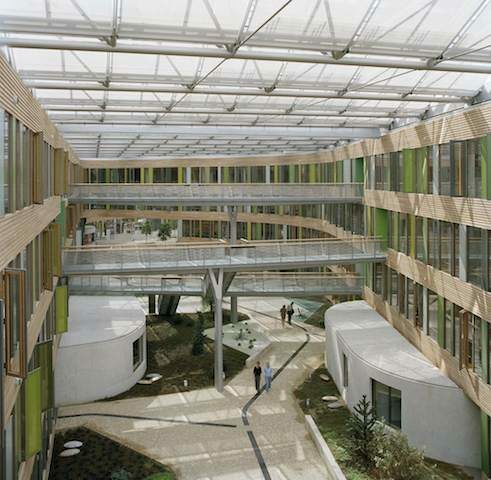 A lot of wood was used up at the Federal Office of Environmental Affairs in Dessau. 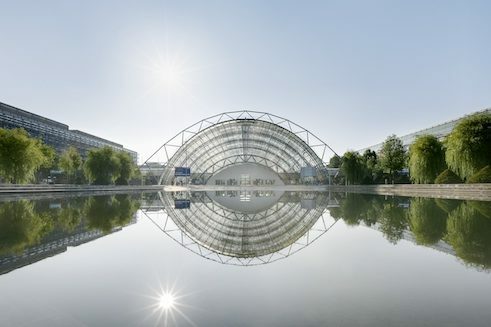 Furnished with all possible energy- and environmentally-friendly technologies, it is a model project for sustainable administrative construction. 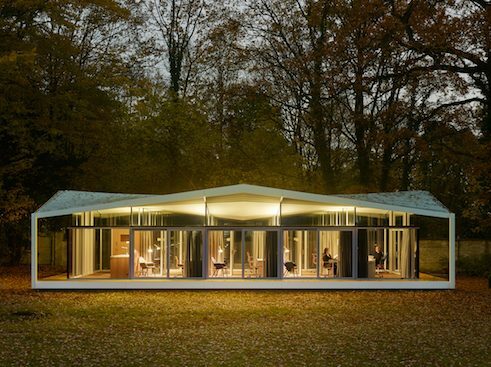 Much as they have positioned themselves in terms of design, they have also made a name for themselves as ecologically-oriented architects, above all abroad. Earlier than many, they have prioritised ecology and low-energy standards. 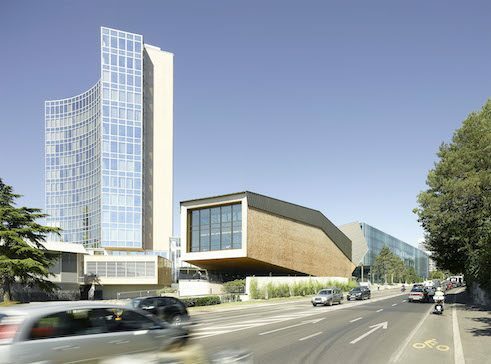 Examples are the GSW high-rise in Berlin, the Hamburg Office of Urban Development and the Environment / Behörde für Stadtentwicklung und Umwelt and the prestige project Sammlung Brandhorst (i.e. 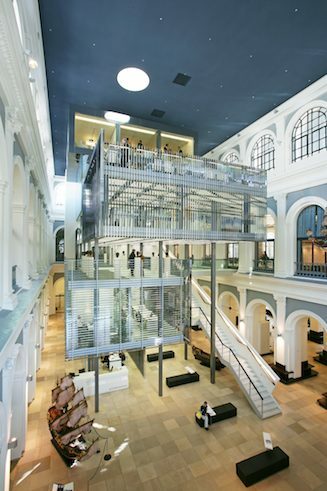 Brandhorst Collection) in Munich, which is considered a model of museum air-conditioning with minimised energy requirements. 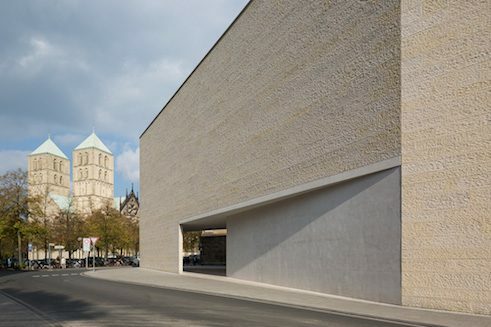 If anyone is a specialist in museum construction in Germany, then it is Volker Staab. 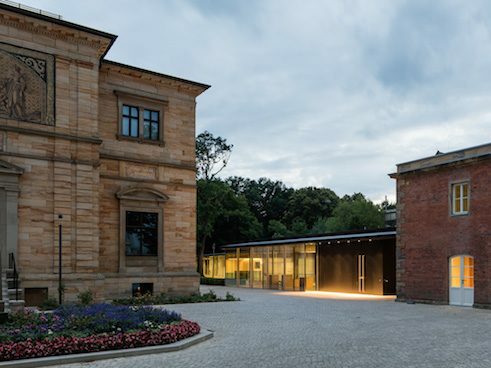 Whether new buildings such as the Georg Schäfer Museum in Schweinfurt or the Ahrenshoop Museum of Art, re-designs such as the Richard Wagner Museum in Bayreuth, expansions as in the case of the LWL Museum in Münster, renovations such as the Museum der Bayerischen Könige (Museum of Bavarian Kings) in Hohenschwangau or the depot of the Albertinum in Dresden and many other projects. 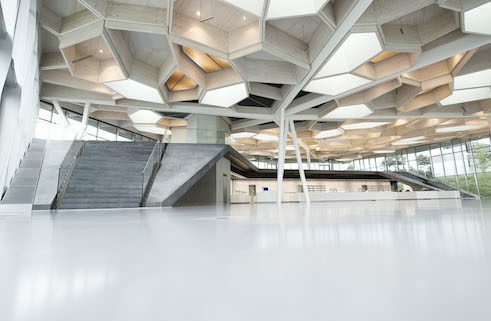 Staab’s abundance of ideas and wide spectrum of variation in the organisation of exhibition buildings and the design of presentation formats for exhibition pieces of any kind seem inexhaustible. 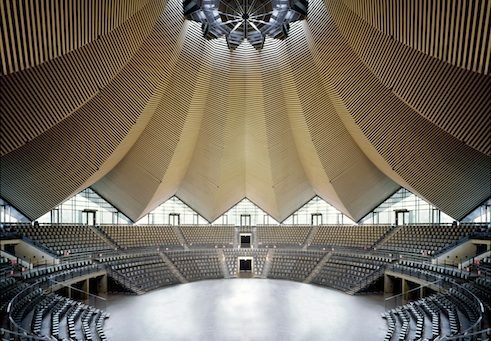 His repertoire of spatial and light atmospherics is astonishing. 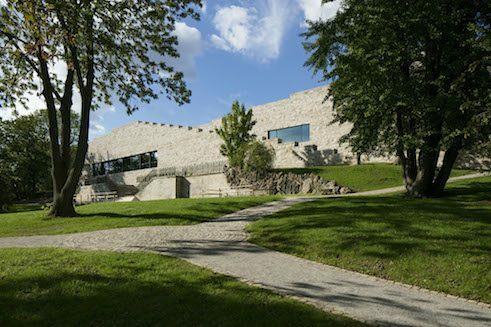 Add to this his fine sense of construction in historic surroundings, of un-dogmatic historic preservation and unconventional auxiliary structures. 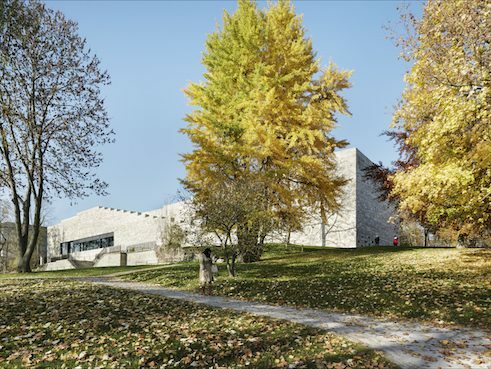 Also open for all other construction tasks, such different buildings as the Service centre at Munich’s Theresienwiese, a ministry in Stuttgart, the plenary hall of the Bavarian Parliament as well as office buildings and kindergartens. Moreover, a second focus evolved in the course of the firm’s work, the construction of buildings for research and teaching. 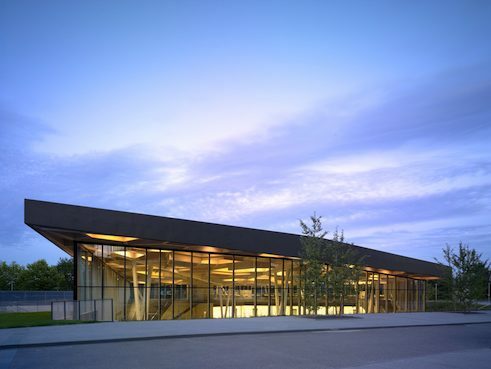 The firm’s flexibility with respect to the typology of buildings benefits these by no means commonplace construction tasks, but also their aversion to falling back on the tried-and-true and time-tested for the sake of convenience. But perhaps Volker Staab also succeeds especially well at reading the urban-construction, historical and cultural context, at condensing the functional and economic parameters of the task into an inner logic of the building itself, and thence generating the reason for the building into its form: into a form that ultimately appears convincing, natural and self-evident, and for this reason looks new and different with each building. 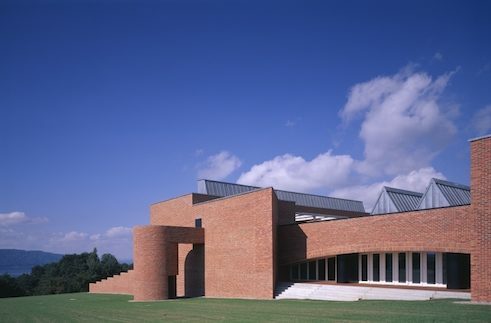 Falk Jaeger, a certified architect and architectural and art historian, was chair of the department of architectural theory at the TU Dresden. 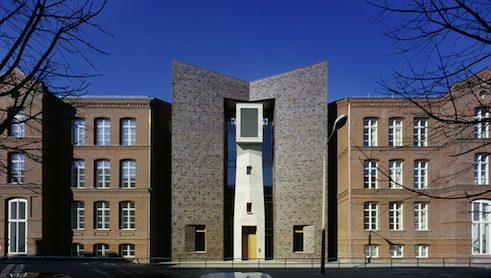 For his work as an expert publicist and free-lance architectural critic for daily newspapers, professional journals, TV, radio and internet media, he has been distinguished with, among other things, the first prize for architectural criticism of the German Chamber of Architects and the DAI literary award for building culture. Copyright: Text: Goethe-Institut, Falk Jaeger. This work is licensed under a Creative Commons Germany Attribution – NoDerivs 3.0 Germany license.